Hurricane Matthew, which made landfall on Haiti’s southwestern claw on October 4, devastated citizens’ lives, homes, and businesses – and set back much more across the country. Some 546 are reported dead, and 128 are still listed as missing. According to World Bank estimates, the Category 4 hurricane caused nearly $2 billion in damages, including $600 million in the agricultural sector. The hard-hit southern peninsula provides about one-third of Port-au-Prince’s food supply, and the losses of crops and fishing equipment have long-term implications for food security. Ninety percent of the homes in the South and Grand’Anse regions were damaged or destroyed, and according to the Environment Ministry, the storm sped up deforestation and has destroyed more recently planted trees. The relief efforts have been poorly coordinated by Haiti’s interim government, resulting in press reports of looted aid convoys and sporadic protests. The storm has also set back almost every key initiative underway in Haiti. Just two months after the United Nations finally acknowledged its role in bringing cholera to the country in 2010 (for which it subsequently proposed an aid package that includes restitution to victims), flooding and contaminated water have led to a dramatic increase in the number of cholera cases. An estimated 3,400 new cases have been reported in just the last four weeks. With help from the World Health Organization, the Haitian Ministry of Health will begin administering 1 million doses of the oral cholera vaccine, but addressing cholera also necessitates serious improvements in access to safe water and sanitation. Haiti’s elections, scheduled for October 9 and already a year overdue, were rescheduled once more due to the hurricane. They are now set for November 20, but foreign observers and candidates alike indicate that major obstacles remain. More than 770 schools, which are typically used as polling stations, were destroyed by the storm, and roads throughout the south remain impassable. Once again, it falls to the international community to lend Haiti a hand, but donors have been sluggish. During a visit in mid-October, UN Secretary General Ban Ki-moon said that he was “disappointed by the response of the international community.” Less than a third of the UN’s $120 million appeal for immediate hurricane relief has been raised – and the UN was already struggling to raise funds for its separate cholera fund. Donor fatigue in the United States, where the government contributed several billion in tax dollars and more than half of citizens made private donations following the 2010 earthquake, has been deepened by widespread perceptions that money was wasted. Poor coordination, wasteful spending by aid agencies, and political stagnation have meant that Haiti has little to show for the $9 billion in earthquake relief. (The Red Cross, for example, spent $500 million on various projects, but, despite its stated focus on housing, famously built just six permanent homes.) Canada’s anticipated assumption of leadership of MINUSTAH, the UN peacekeeping mission, from Brazil by the end of the year may help energize aid efforts. Canada has a large Haitian diaspora population and Prime Minister Trudeau has signaled interest in taking a larger role in Haiti’s recovery, but Canada’s contributions to hurricane relief are still dwarfed by those of the United States. Once again, Haiti lurches from one crisis to another – and it will continue to until aid and development efforts are better coordinated and the country achieves some measure of political stability. * Emma Fawcett recently completed a Ph.D. in International Relations at American University. Her doctoral thesis focused on the political economy of tourism and development in four Caribbean countries: Haiti, Dominican Republic, Cuba, and the Mexican Caribbean. Tax Reform or Governance Revolution? Taxation to fund development is becoming central to U.S. foreign assistance policy, but it would be a mistake for USAID and other foreign assistance agencies to view tax reform solely through the technical lens of financing for development. In September, USAID Assistant Administrator Alex Thier penned an article subtitled, “Why Taxes Are Better than Aid.” This follows the announcement in July of the Addis Tax Initiative at the UN Financing for Development Conference, where the United States and other donors pledged to double the amount of technical assistance for taxation in developing nations. By most accounts, the potential fiscal benefit of increasing taxation –“domestic resource mobilization” (DRM) in development parlance – is huge. The World Bank and International Monetary Fund estimate that in 2012 DRM in emerging and developing nations generated a combined $7.7 trillion. This dwarfs average annual foreign assistance outlays, which in recent years have averaged about $135 billion. One of many examples cited by USAID is El Salvador, where a $660 million increase in annual tax revenues has been channeled to health, education, and social services, as well as other development programs. 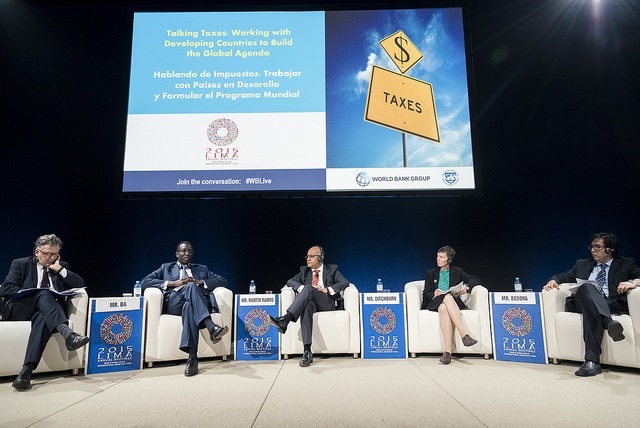 The issues of fair and transparent taxation are often a secondary component in discussions of DRM but – as events in Guatemala and elsewhere demonstrate – can also generate revolutionary transformations in governance. Even as U.S. agencies emphasize the technical side of DRM assistance, organizations that monitor taxation are sparking historic citizen revolutions through revelations of governmental tax corruption. The UN-sponsored International Commission against Impunity in Guatemala (CICIG) was created in 2006 to strengthen the rule of law through “investigation of crimes committed by members of illegal security forces and clandestine security structures.” But it was CICIG’s revelations of a customs tax corruption network that brought 100,000 Guatemalans into the street in a single day. The protests led to the forced resignation and jailing of President Pérez Molina as well as a surge in citizen engagement unseen in the country’s modern history. The intimate link between taxation and governance should be a central factor in how the U.S. government and others think about DRM. As the OECD states, “The payment of tax and the structure of the tax system can deeply influence the relationship between government and its citizens.” DRM should place a high premium on the governance impact of tax reform, where appropriate. Tax reform not only increases government revenues, but as the case of Guatemala demonstrates, it can also strike at the heart of ossified structures of governance and can spark revolutionary changes in the relationship between citizens and states. * Andrew Wainer is the Director of Policy Research in the Public Policy and Advocacy Department of Save the Children USA. Decentralization – the buzzword among Washington-based specialists on governance during the 1990s and well into the first decade of the 21st century – failed to fulfill technocrats’ lofty expectations wherever it was implemented in the absence of a strong central government. In one country after another, the World Bank, Inter-American Development Bank, and USAID prescribed political and administrative decentralization as a recipe for deepening democracy and boosting efficiencies in the delivery of governmental services. An alliance of strange bedfellows united behind the “good governance” cause of decentralization, including grassroots democracy activists of the left who, in the aftermath of authoritarian rule, valued the notion of devolving decision-making authority to the citizenry. Neoliberal economists, in turn, were attracted to virtually any initiative that would diminish the authority of central states, which they considered to be incorrigible bastions of inefficiency, rent-seeking and patronage. Cautionary notes from skeptical political scientists were routinely dismissed as anachronistic. At a seminar in Lima around a decade ago, USAID staff were utterly perplexed by the suggestion that, in the absence of central institutions holding the new regional authorities accountable, the headlong quest to political decentralization in Peru could bring extremely serious adverse consequences for democratic governance. 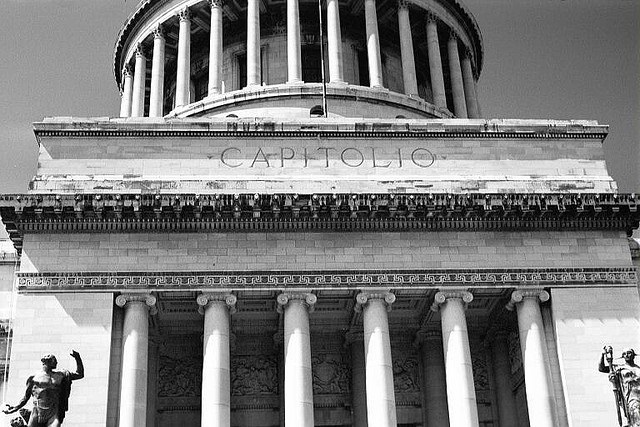 In their view, the capabilities of the central government had nothing to do with the success of decentralization. Their enthusiasm was not entirely misplaced – but in many places the reforms eventually backfired. The authoritarian regime of Alberto Fujimori (1990- 2000) had centralized power excessively, eliminating the handful of regional governments that had been created during the 1980s and ensuring that the social programs they had administered would be entirely dependent on the executive branch. Fiscal decentralization, already minimal, was eliminated to make provincial municipalities completely dependent on transfers from the central government. The few regional authorities who survived the Fujimori period were appointed by the president. When President Alejandro Toledo (2001-06) and his Peru Posible party took office, the need to restore some decentralization was clear, but the two traditional parties – the APRA and Acción Popular –gradually coopted the movimientos regionales, creating clientelistic networks employing mafia-style tactics. In the Ancash Department, for example, a rogue president is associated not only with corruption scandals – common in regional governments – but also with the assassination of his political enemies, including a political opponent murdered in March. President Ollanta Humala has frozen the region’s assets, thereby putting a stop to some of the corruption but at the same time delaying needed infrastructure projects and social services. 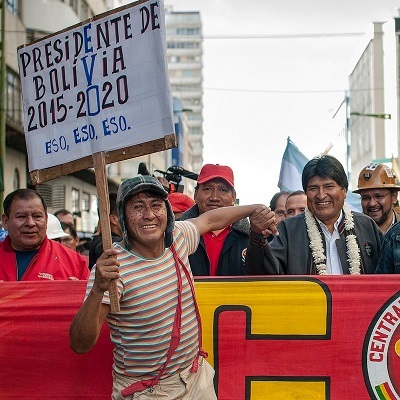 The emergence of authoritarian enclaves was predictable of fledgling democratic regimes in Latin America, and the phenomenon is not unique to Peru (click here). Sub-national authorities have access to vast resources to distribute to their clients (and themselves), and all too often the central state lacks the capacity or control over the purse strings to rein them in. Social scientists have long been aware of the “paradox of decentralization,” and indeed at American University it is a concept that we typically teach freshmen in Comparative Politics – that decentralization only promotes democracy when it follows the consolidation of a strong central state. This insight escaped the gaze of the technocrats so enamored of decentralization in Peru. There, as elsewhere, the absence of horizontal accountability – that is, the ability of different branches of government to check one another’s authority – is aggravated by the inability of civil society to hold leaders accountable and allows for the emergence of local mafias in control of sub-national institutions. Decentralization took on such steam at a time when Latin America’s national governments had been weakened by the economic crisis of the 1980s and the ideological assault on the central state that continued well into the current century. It will take many years to rectify the damage. Regional educational exchange has become an important talking point for U.S. administrations in recent years, but data is still lacking to judge it a success or failure. In 2011, the Obama administration announced the 100,000 Strong in the Americas initiative, intended to promote a north-south multilateral exchange of 100,000 students by 2020. 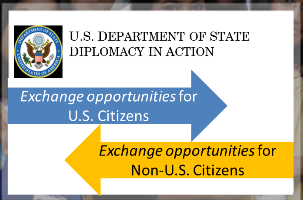 The State Department casts it as a means for students in the hemisphere to develop the relationships and skills necessary to meet four contemporary challenges: citizen security, economic opportunity, social inclusion, and environmental sustainability. The organizations tasked with fulfilling the program’s goals include the National Association for Foreign Student Affairs, whose 60-plus years of advocacy on behalf of international education is based on the belief that “international education leads to a more peaceful world.” Whether such lofty aspirations are possible is subject to some debate, but the more-easily measured effect of 100,000 Strong will become clearer when the Institute of International Education releases its report later this year on international study to and from the United States during the past academic year. Latin American countries as diverse as Brazil, Ecuador, Mexico and El Salvador have student exchange programs of their own, with the U.S. a leading destination. Mexico sent the most students to the U.S. of any Latin American nation in 2011-12, but its 13,000 students were only the ninth largest source of international students in the U.S. The most commonly touted example of U.S.-Latin American exchange is cooperation with the Brazil Scientific Mobility Program, part of the Brazilian government’s plan to send 100,000 students abroad by 2015 to study in key science, technology, engineering and math (STEM) fields. Responding to the weakness of these fields in many Brazilian universities and to the growing demand for highly qualified graduates in high-tech industries, so far over 7,000 Brazilian students have studied at over 200 U.S. universities and interned at 300 companies, with another estimated 3,900 now in such programs. Cooperation in education exchange is not limited to high-tech fields. In Washington, for example, Georgetown University administers leadership training to “disadvantaged communities” and “historically underserved populations” from Latin America through the State Department’s Central America Youth Ambassadors Program and the USAID’s Scholarships for Economic Education and Development (SEED) Program. While governments like Brazil’s have financed their international study programs, the U.S. has asked the private sector to take the lead in expanding pre-existing programs like Fulbright. Two years ago, 64,000 Latin American students studied in the U.S., compared to 40,000 U.S. students in Latin America, of which one third stayed only for a summer. If part of the purpose of 100,000 Strong is to improve regional relations through personal contact and exposure to the region’s sociocultural diversity, educational exchanges will need to flow north-south on a more equal footing. It remains to be seen if the U.S. private sector is willing to meet such a commitment. There is also the perennial question of whether educational exchange programs enhance economic development and mobility in Latin America or instead contribute to “brain drain.” The development of high tech industries in places like Brazil offers a more promising future for returning students, but their absence in poorer regions like Central America is a source of concern. Finally, 100,000 Strong and similar programs should be judged on how they respond to the largest challenges facing universities throughout the Americas: affordability, providing quality education for students of diverse socioeconomic backgrounds, and in Latin America specifically, making local universities appealing settings for internationally-trained intellectuals and experts. What’s Up with Cuba Policy? A little over six months into President Obama’s second term, the administration is giving hints that something is afoot in relations with Cuba. Back in 1994, Fidel Castro told a group of former U.S. ambassadors that he needed a two-term U.S. president to normalize relations with Cuba because no first-term president would have the political courage to do it. Could Barack Obama be that president? Efforts to engage with Cuba during his first term were frozen after the 2009 arrest of USAID subcontractor Alan Gross. Despite evidence that Gross had violated Cuban law, the administration insisted that Gross had done nothing improper and demanded that he be freed immediately. When he wasn’t, the U.S. position hardened: there would be no improvement in relations with Cuba, not even on issues of mutual interest, until Gross was released. Gross is still in jail four years later; the non-negotiable demand strategy failed utterly. The second Obama administration appears to be trying something new. In May, the Department of Justice dropped its insistence that René González, a member of the “Cuban Five,” serve out his probation in Miami rather than Cuba. Shortly thereafter, Cuba granted Alan Gross’ request to be examined by his own doctor. In late May, Josefina Vidal, the Cuban Foreign Ministry official in charge of relations with the United States, met in Washington with Assistant Secretary of State for Western Hemisphere Affairs Roberta Jacobson – the highest-level U.S. official to meet with a Cuban diplomat in several years. After this reportedly constructive encounter, the State Department announced the resumption of bilateral talks on immigration (suspended since January 2011), and on re-establishing direct postal service. Working-level diplomats have resolved most points of disagreement on a postal accord, a Coast Guard search and rescue accord, and an oil spill containment protocol – although the U.S. side is loath to use the word “agreement,” lest it stir up trouble with a small but loud contingent in Congress. Dr. LeoGrande is Professor of Government in the School of Public Affairs at American University. 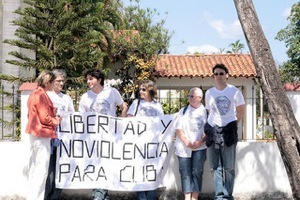 Three weeks after the death of Cuban activist Osvaldo Payá, the questions that remain unanswered are not so much about the circumstances of the car accident that killed him – it appears to have been a tragic accident – but rather about the activities in which he and his European companions were engaged. His family continues to claim that the vehicle was rammed off the road by state security agents. According to Cuban authorities, the rental car veered off an unpaved stretch of road, and the driver, Angel Carromero, an activist from Spain’s conservative Partido Popular, has been charged with vehicular manslaughter. 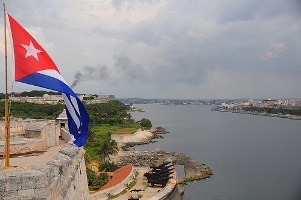 At a Havana press conference, both Carromero and the other survivor, Jens Aron Modig of Sweden, confirmed the official version of the incident and asked the international community not to use the tragedy for political ends. Since returning to Sweden, Modig, who admitted entering Cuba to deliver funds to Payá’s organization, has not disavowed the official account. Nonetheless, the deluge of media coverage quick to frame the accident as a sinister government plot has not been corrected. Though perhaps the most effective dissident to challenge the Cuban government, Payá was among the most tolerated. His international celebrity – he won the EU Parliament’s Sakharov Prize for Freedom of Thought in 2002 – his opposition to the U.S. embargo and Helms-Burton regime-change programs, and his commitment to peaceful change on the island made him an unlikely target for a political assassination. The project that put Payá on the road to Santiago has many of the markings of the secret operations carried out under “democracy promotion” programs run by the U.S. State Department and USAID. These programs are shrouded in such secrecy that not even the Congressional oversight committees are briefed on them, so ascertaining the truth of who was directing the Carromero-Modig mission and the information campaign accusing the Cuban government of murder after the accident is practically impossible. But strong circumstantial evidence has emerged. In video testimony, Modig revealed that he met in Tbilisi with two major USAID grantees involved in such operations – the International Republican Institute (IRI) and the National Democratic Institute (NDI) – just before traveling to Cuba. It is unclear whether Payá – known for eschewing foreign financial aid – was aware that Carromero and Modig’s primary objective on the trip was to hand out money to antigovernment activists. It is conceivable that he chose not to know the details. Regardless, his death represents a significant blow to Cuban activists seeking peaceful, democratic change without heavy foreign direction.